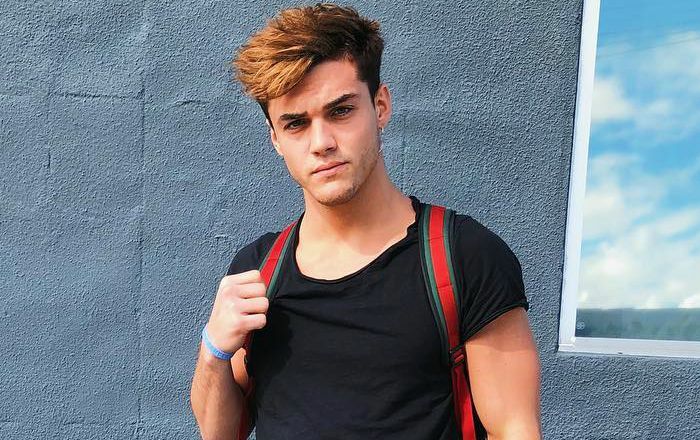 Grayson Dolan is a popular comedian and YouTuber, who along with his twin brother Ethan, gained fame through the now defuncted video sharing application Vine. They are immensely popular for their videos on YouTube where they have accumulated more than 5.9 million subscribers. He had more than 6.4 million followers on Vine. He is quite popular on other social media platforms, where his Instagram page has over 7.4 million followers as well as earned more than 6.5 million followers to his Twitter account. Grayson Dolan was born on December 16, 1999 in Washington Township, Morris County, New Jersey, United States. Grayson Dolan attended West Morris Central High School. Grayson Dolan was in a relationship with fellow social media star Chloe Alison in 2014. He has not acted in films yet. In 2016, Grayson appeared as himself on the news show, Extra. Being an internet sensation with an overwhelming fan base on various social media platforms. Since their beginnings, the duo has an impressive track record with their fan following increasing on each passing day, thanks to their incredible sense of humor. Grayson has a net worth of $3 million. Grayson is one half of the infamous The Dolan Twins with his twin brother Ethan Dolan. He is 20 minutes younger than his twin, Ethan Dolan. They have collaborated with fellow Viners like Amanda Cerny, Jack Paul and Jack Dail. Celebrities like Kian Lawley, Cameron Dallas, Chloe Colaluca, Jake Paul and Meredith Mickelson have made guest appearances in some of their videos. Grayson is a professional wrestler and has won several local competitions including a local wrestling competition at the Madison Square Garden. He never thought that he and his twin brother would become Internet stars. It was their elder sister Cameron who introduced them to Vine. At the 2016 Teen Choice Awards, the duo won the awards for Choice Web Star: Male and Choice YouTuber.